If you are in need of technical support for your CAME-TV product, please first see our guide of FAQ articles for a listing of tips answering some of the most commonly asked questions. - When/has my order been shipped yet? - I want to change the shipping address of my order. - I want to cancel/return/exchange my order. - What is your warranty policy? - Do you still offer repairs if my product is not covered by warranty? - Do you ship to my country? If I place an order, how long does it take to ship to my location? - I've lost a part for my CAME-TV product and I need a replacement. Can I order a new one? - I've recently purchased, or am thinking about buying a gimbal. Is there anything I should know before I get started? - I'd like to see some reviews and/or sample footage showing your gimbals in use. Can you link me to some? - How do I know if my camera will work with one of your gimbals? What are the maximum payloads of your gimbals? 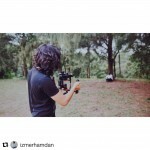 - How do I balance my camera on a gimbal? - I need an instruction manual for my gimbal. How can I get one? - My gimbal constantly beeps whenever I power it on. What is wrong? - How do I test my gimbal battery to know it's going bad? - I purchased/received a replacement battery for my CAME-Single. How do I install it? 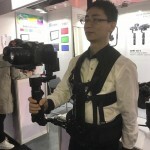 - Will my camcorder work with any of your gimbals? - I'd like to purchase a wireless remote for my CAME-Single, but I'm not sure if it's compatible. How can I check? - How do I assemble the dual handle kit for the CAME-Single? - The battery on my CAME-Optimus seems loose whenever I mount it. Am I doing something wrong? - How do I properly power up the CAME-Optimus? - Why do the new CAME-Optimus gimbals now use a BP-U30 battery? Can I purchase an original DC18 Optimus battery? - I've noticed you upgraded the batteries for the CAME-Mini 3 and CAME-Argo. What's the difference between the two kinds? - My camera has an off-center tripod mount and I can’t balance it on my gimbal. What can I do? - What should I know before purchasing a used gimbal from a private seller? - How do I connect my gimbal to the SimpleBGC software? - How do I know which software version to use with my gimbal? - How do I save my profiles? - How do I upgrade/downgrade my firmware? - I need to keep my gimbal very quiet when using it on productions. Is there a way to mute the audio on it? - I'm getting minor vibrations/jitters on my gimbal. Is there anything I can do to fix this? - My gimbal is perfectly balanced, but it slightly drifts on its own. What can be done to fix this? - I've changed my follow modes, but I'd like to return them to default. How do I do this? - Is there a way to calibrate my gimbal without connecting it to a computer all the time? - Understanding RC (remote control) settings. - How do I adjust the speed of my joystick controls? (This process applies to Follow speeds too). - How do I control my Boltzen lights with my smartphone? - Are the Boltzen DC power adapters interchangeable? - Will your Boltzen lights work with any Sony NP-F batteries? Even third party ones? - How to enable/disable strobing function on Q-Series Boltzens? - I would like to purchase a Steadicam but I'm unsure whether I need to get a light arm or heavy arm. How should I choose? - I have a problem with my CAME-TV product and would like to send you a video. How do I do this? Did you not find the solution to your problem in this page? You can contact us by filling out this form and one of our technical support associates** can get back to you. Please note that all inquiries will be addressed in the order that they are received. 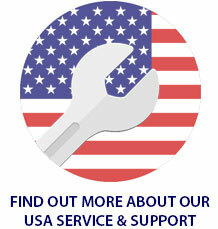 Technical support hours are from Monday to Thursday 09:00 - 17:00 (PST), Friday 09:00 - 14:00 (PST). Please note that we get many submissions daily and all inquiries will be addressed in the order that they are received. Your patience and patronage is greatly appreciated! 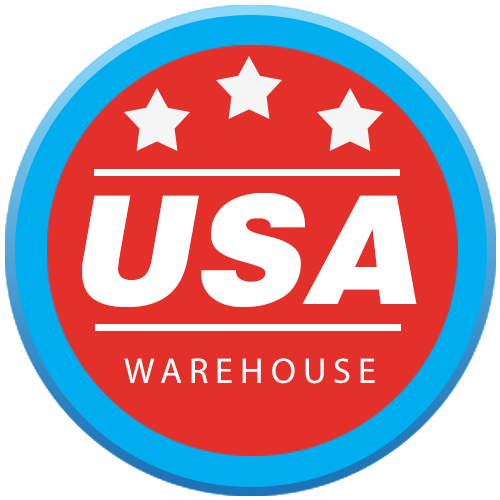 **Our technical support staff is unable to answer any sales-related questions including order/shipping status, and is unauthorized to look into return/exchange requests. For these requests, click here.